Saxophonist Nathan Nabb maintains an active and multifaceted concert schedule, with regular performances in solo, chamber and orchestral settings, including numerous international engagements at music festivals and conservatories throughout North America, Europe, Australia, and Asia. As an orchestral musician, Nathan regularly performs with the St. Louis Symphony and the Houston Symphony, and has also performed with the Minnesota Orchestra, New World Symphony, IRIS Chamber Orchestra and Cincinnati Chamber Orchestra. Recent orchestral performance highlights include concerto performances with St. Louis and Houston Symphonies, as well as a 2012 European tour with St. Louis Symphony, featuring concerts at the BBC Proms, Berlin Musikfest and Salle Pleyel. Dr. Nabb makes regular appearances as a soloist and guest clinician. Recent invited solo recitals include performances in the summer of 2015 in the National Concert Hall in Taipei, Taiwan and at the Sichuan Conservatory in Chengdu, China. He was featured as concerto soloist at the Region IV North American Saxophone Alliance conference in 2015 and has performed solos at World Saxophone Congress, North American Saxophone Alliance, Navy Band Saxophone Symposium, as well as prominent schools of music and saxophone studios throughout the United States, France, Taiwan, Japan, Spain, Greece, Norway, Canada and China. He can be heard on the BIS, Innova, Teal Creek, and AMP record labels. 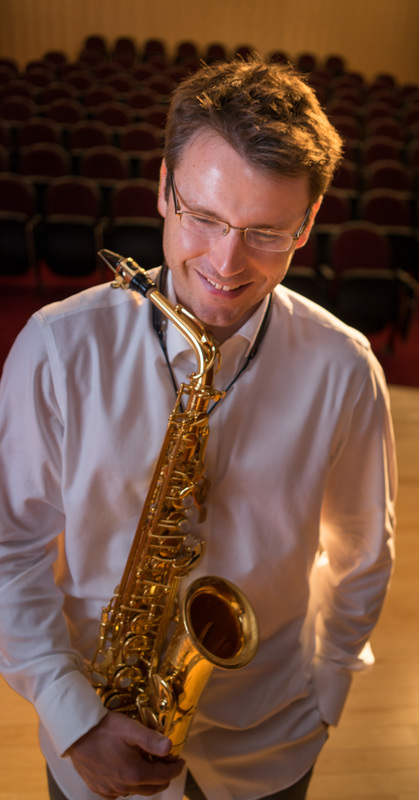 Dr. Nabb holds teaching positions at Stephen F. Austin State University, where he is Professor of Saxophone, and at the Cincinnati College-Conservatory of Music, where he is Guest Master Teacher of Saxophone. Dr. Nabb’s students have won many competitions both in solo and chamber music settings and have been featured in performances and master classes at North American Saxophone Alliance regional and national conferences, as well as other local and regional clinics. Nathan received his Doctor of Music and Master of Music degrees in saxophone performance from Northwestern University, where he studied with Dr. Frederick Hemke and was a two-time winner of the Northwestern University Chamber Music competition. His bachelor’s degree is from the University of Illinois Urbana-Champaign, where he studied with Professor Debra Richtmeyer.